Public accounting is distinct because it focuses on external preparation and attestation of financial information (accounting work performed by individuals outside of the reporting entity). Public accounting programs focus on the knowledge of auditing, taxation and the regulatory environment to ensure that their clients' accounting information is presented adequately. The coursework offered in these programs is typical of all accounting degree programs and includes business law, ethics, economics and computer science. There are many people throughout the U.S. that are involved in the financial field. Whether they are providing planning services to companies or working with common people in the field, the contribution of financial professionals goes well beyond what you might expect as an upcoming student. One of the most influential fields in the finance area is within public accounting. If you decide to pursue a degree and career in this field, you could find yourself working with a diverse set of clients with various financial needs. Degree programs that focus on public accounting can be found at numerous universities all over the country. While enrolled in these programs, you could learn more about what it takes to create and present important finance records, balance income and spending accounts and make recommendations relevant to positive change for your client. A degree program in public accountant may also help prepare you for CPA testing within your state. Our team of educational experts has developed this guide in order to give you more information pertaining to this degree program and what it can provide for you after graduation. If you decide to pursue a degree program in public accounting, you can learn about how to accurately project your skills to your clients. The university that you enroll in can have a strong influence on how much you learn and the various topics you learn about throughout your degree program. Our experts wanted to give you a better outlook on what to expect when enrolling in these programs, so they have pulled information pertaining to classes and provided it in a list below. The courses provided are part of real accounting degree programs at universities all over the country. Through the list below, important topics related to public accounting are covered. On any given day, you could be tasked with analyzing a client’s personal financial records to find areas that need work or preparing a large amount of financial documents for tax season. The courses provided in these degree programs can help you gain skills in both the analysis and application of financial techniques to support financial growth in the people you serve. Read more in the list below to learn about these topics. Financial Reporting: Students enrolled in this course can learn more about the financial reporting techniques required by accounting professionals. This can include a look into income statements, expenditures and yearly balance sheets required for accurate financial processing. Students may also take a look at financial forms relevant to individuals and small businesses as part of their class requirements. Tax Methodology: This course can introduce students to topics relevant to tax preparation services. Throughout the duration of this course, students can learn more about the different types of tax forms, such as the 1040, that are currently used for individuals filing taxes. Tax law and common deductions may also be discussed, as well as managing yearly taxes for businesses. Strategic Accounting Issues: When dealing with people’s financial wellness, it is important for accounting specialists to have a solid foundation for problem-solving and analysis. This course can provide students with skills necessary for working through common and uncommon issues that may arise during a financial analysis or during financial planning. What Can A Public Accountant Make Per Year? Working in public accounting can lead to several different job responsibilities. These responsibilities can come in the form of different roles within an organization or even through private accounting services. In order to provide you with the most updated information pertaining to the wages of accounting professionals, our team has pulled data from the Bureau of Labor Statistics for your review. The information below can help you get an outlook on the types of earnings you could potentially be awarded while employed in this field. Accountants – Finance and Insurance: $74,140 on average per year (BLS). Accounting – Bookkeeping, Taxes and Payroll Services: $69,410 on average per year (BLS). Before you even choose a degree program, you should consider what the degree can do for you in the future. In society, people should always consider their financial wellness when planning for their future, since it is important to remain stable with income and provide well for growing families. The amount of money you earn as an accounting professional can depend on the amount of experience you have in the field and the type of work you provide for the public. As a professional public accountant, you could find yourself providing a great array of services to the people that seek your assistance. 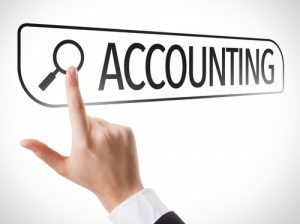 One of the most profound aspects of becoming a public accountant in comparison to corporate accounting is that professionals in this line of work can assist individuals and families in need of financial assistance. Professionals can also work with small business owners that may need financial support and recordkeeping services from your organization. If you want to learn more about the various duties of public accounting professionals, read more in the list below. As a public accountant, you could work with a variety of clients with diverse financial needs. On a given work day, you could sit down with a client, determine how they want to improve their financial well-being or manage their current income and expenses, and provide a detailed analysis for planning for their future. Clients may also call upon your services to keep their financial records and spending in an organized format. Business owners and clients may employ public accountants to manage their money and finances in order to relieve some of the burden from themselves. This is common for individuals with a higher income or those that manage a small business. Filing taxes and preparing documents for submission can be difficult for individuals with no financial experience. Public accountants can provide services to the public that include analyzing financial forms and filing federal and state taxes each year for their clients. Some public accountants specialize in this area and provide this specific service to the public during tax season each year. Public accountants can be a great resource for individuals seeking improvement in their financial condition. Public accountants can review their clients current financial records, spending and income in order to determine methods for increasing financial wellness over a period of time. What type of clients could I work with after obtaining this degree? A degree in public accounting can open many doors for you in terms of the types of people you can work with in the field. Public accountants can provide services to individuals in the public domain seeking simple accounting services or bookkeeping, or even small businesses that need assistance within maintaining their financial records. Can I become a CPA through these programs? Accounting degree programs are a great way to prepare for licensure examinations for the CPA certification. Once you have completed the degree program, you can enroll for testing in order to be considered for this certification. The topics and courses provided by universities should align with what is required during the testing process. How is public and corporate accounting different? If you choose public accounting over corporate accounting, you could experience a more diverse set of clients throughout your work experience. Public accounting can prepare you to work for various clients in the public domain, while corporate accounting focuses more on just the needs of corporations and large businesses. The costs of a degree and the time you spend completing it can be very influential factors in your decision to pursue a degree. Some colleges provide master’s programs that can be completed in a little over a year, which can be great news for students that are interested in getting to work as quickly as possible. Also, the monetary costs of tuition can also be larger or smaller depending on where you are searching. The colleges below list their tuition by credit hour, which can provide an easy outlook on how different the prices of your education can be. Check out the colleges below to see the comparison. Earning a degree in accounting can be an exciting experience. If you are considering a move into a degree program, you should take into consideration your needs and desires for an investment. Enrolling in a college degree program can add up in terms of the amount of time it takes to get your degree and the amount of money or financial aid needed to finish. Our team of experts has pulled data from some universities providing Master’s degree in Accounting to help you learn more about what to expect when planning.